High visibility clothing or vest, helmet and covered footwear are not required for the build-up and dismantle period. However, we do recommend taking precaution while onsite during build-up and dismantle with proper attire. Car Parks are located throughout the surrounding venue areas. Click here to view venue map of the parking areas. Each exhibiting company including co-exhibitors receive one car park card free of charge. Extra cards may be purchased on number 17, Form 4a. Each co-exhibitor receives two exhibitor identification cards no matter what the size of the rented area is. Additional exhibitor identification cards are available for purchase for $17USD each. As an exhibitor in the USA Partnership Pavilion, your company is entitled to a free listing in the USA Partnership Pavilion Visitors Guide. • Additional electrical outlets to give your presence more power. • Additional lighting to brighten and make your products shine. • Transformers to ensure your equipment will run without a glitch. • Carpet color and padding upgrades for a more polished look and enhanced comfort. • Furniture upgrades to meet specifications for enhanced functionality such as group meetings, presentations and hospitality. As part of the USA Partnership Pavilion, we ask as a courtesy that a drawing or plan of the proposed booth installation be submitted for review. We want to ensure its overall cohesiveness with our design as well as identify any conflicting items that will disturb neighboring companies. Opt-in to receive notifications onsite. These may include emergency updates, reminders for program events, and/or schedule changes. US2 & US3 orders received after the deadline date will be subject to a 20% Late Fee. For questions, comments & concerns, contact the Kallman Worldwide MSPO Exhibitor Services Team. There is a new procedure regarding the organizer Targi Kielce order form submissions. All forms must be submitted to Sharon Slender, SharonS@kallman.com. When completing any of the forms, save the document to include your company name and order form number. If any of the forms require a fee, the organizers, Targi Kielce S.A. will send you the invoice and bank details to submit your payment. Exhibitor Information Card- Coming Soon! *Should you have any technical questions, click here to contact the appropriate MSPO service provider contact. You may contact your Kallman Worldwide Exhibitor Services Specialist if you have additional questions. We encourage you to become familiar with the entire exhibitor manual, as there may be other services you need. We offer a variety of graphic options to enhance your booth including posters, full panels, and "seamless" graphics. Below you will find reference documents to assist you in preparing your graphic order. In order to provide you the best possible service, please pay close attention to formats, sizes, file types, and deadlines. If you have any questions, please do not hesitate to contact your Kallman Worldwide Exhibitor Service Specialist. Clearing up any confusion pre-show will avoid costly errors on-site. After the deadline, we cannot guarantee that the artwork will be installed for opening day of the show. For all inquiries regarding the events below, please contact Project Coordinator, Samm Eichmann. If you're interested in sponsoring one of these events, please contact Peter Kelley. PR & Media — Got news? We'll help you promote it. As a USA Partnership Pavilion exhibitor, you may submit show news to be included in the “Ask America” Pavilion Preview press release — at no cost. The link to access the form for submitting your information will be up soon! Whether you’re active on social media or just looking to dip your toe in the water, Kallman Worldwide offers simple, low-risk support to USA Partnership Pavilion exhibitors. Kallman offers a wide range of free and paid marketing and promotion options to help you maximize your impact on-site. Download these social media banners sized for posting on Facebook, Twitter, LinkedIn and Instagram! Use them to promote your USA or Canada Partnership Pavilion booth at the show! Your message, our media. Review the details below, and contact us for a la carte or bundled programs. Surround the show with your message. In print and online, on flat screens and signs the USA Partnership Pavilion offers multiple advertising options. The centerpiece of our program is the USA Partnership Pavilion Visitors Guide. It's essential reading for international buyers looking for U.S. suppliers, and Kallman distributes hundreds-to-thousands of copies on-site at every show. We also post an interactive online guide in the show's online Visitor Zone at kallman.com for worldwide reference. Every exhibitor in the USA Partnership Pavilion receives a free listing in the Guide and a cross-reference in their product or service categories. Paid upgrades include enhanced listings (boldface or color text), logo placements, space advertising and "Tab-It!" branded guidemarks. Promote your show presence to A&D decision-makers via the AIA dailyLead — a 100% opt-in daily e-newsletter delivered on behalf of the Aerospace Industries Association by our Digital Media Partner, SmartBrief. Contact SmartBrief now and unlock a one-time 50% discount on your first campaign! Associate your brand with exclusive, high profile USA Partnership Pavilion features that engage more VIPs and attendees. Our Event Sponsorship Packages magnify your presence with extra-visibility brand placements and exclusive access. Program options may include special events such as the Pavilion Opening Ceremonies/Ribbon Cutting, VIP Networking Receptions and Industry Goodwill Presentations; exclusive Pavilion features such as the Meeting Point Exhibitors Lounge, Conference Rooms, The Newsstand and Carpet Stars, or accessories such as lanyards, lapel pins and tote bags. Click here to learn more or contact us now to plan a show-specific program. Exhibitor Communications — Missed something? We archive everything here. JetSet builds its reputation as a premier provider of air, hotel and land services for exhibitions, trade shows, missions and events worldwide. We offer unmatched options for visitors or exhibitors – whether in a group or as an independent business traveler, including extension packages, with or without accompanying spouse/family, after the trade fair. MSPO Hotel Tariff (PDF)- Coming Soon! RW Events is the market leader in providing event accommodation, travel and consultancy for worldwide events. We pride ourselves on our personal services, attention to detail and on-site support. MSPO Hotel Tariff- Coming Soon! 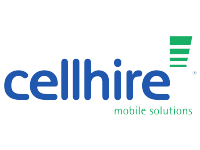 Cellhire is an international Mobile Solutions company that offers a broad range of rental services including international cell phones, BlackBerry devices, 3G data cards, and a host of satellite options. Poland is a party to the Schengen Agreement. This means that U.S. citizens may enter Poland for up to 90 days for tourist or business purposes without a visa. Your passport should be valid for at least three months for the period of stay. You need sufficient funds and a return airline ticket. For further information on entry requirements and current visa information, please contact the consular section of the Embassy of Poland. Download and Print for your Travelers. • U.S. Passports must have at least three months remaining validity beyond your date of planned departure from the Poland. If you travel to and from Poland to other Schengen countries you should have at least six months remaining validity on you U.S. passport beyond departure from the Schengen area. Air travelers to Poland may be denied boarding if their passports lack this remaining validity. • Polish citizens (including U.S.-Polish dual nationals or those with claims to Polish citizenship) must enter and depart Poland using a Polish passport. • You need a visa for stays longer than 90 days or to work or study in Poland. • Non-EU visitors must obtain a stamp in their passport upon initial entry into a Schengen country in order to depart the Schengen area without difficulty. Each co-exhibitor receives two exhibitor identification cards no matter what the size of the rented area is. Additional exhibitor identification cards are available for purchase for $18USD each. Where Can I Access Taxis? Taxis are located outside of the main gate of the venue. Please visit the Zarzad Transportu Miejskiego W Kielcach website for more details on specific routes. Car Parks are located throughout the surrounding venue areas. Click here to view venue map of the parking areas. Each exhibiting company including co-exhibitors receive one car park card free of charge. Extra cards may be purchased on form 4a. Can I purchase a vehicle pass? Each exhibiting company including co-exhibitors receive one car park card free of charge. Extra cards may be purchased on form 4a. What are the Assembly & Disassembly Hours? What badges can I use during Assembly and Disassembly? During construction and dismantling of the stands, the Exhibitor may enter the exhibition area upon the presentation of a Service identification card. Service identification cards (free of charge) can be collected during the stand assembly period at the Entrance Terminal. Is there a safety dress code during Assembly? High visibility clothing or vest, helmet, and covered footwear are not required for the build-up and dismantle period. However, we do recommend taking precaution while onsite during build-up and dismantle with proper attire. When & where does the USA Partnership Pavilion Opening Ceremony & Ribbon Cutting take place? Where can I find the Organizer’s Office/Help Desk? The organizer's office is located behind hall E near entry II (west entrance). Click here to view location. Where does MSPO 2019 take place? Click here to view the variety of restaurants and cafés available throughout the halls of the venue. What other points of interest are onsite? The exhibition is locked and sealed by the guards in the presence of the Hall Manager or Security Manager after the cleaning personnel have left the building. In the event of a fire occurring within the premises of Targi Kielce, the State Fire Brigade (tel. 998, 112), the Exhibitor Service Office, or a security employee have to be immediately notified. Until the arrival of the State Fire Brigade, instructions of the Security Manager have to be strictly followed, and after the arrival of the Fire Brigade—the instructions of the rescue and firefighting team. In case of any other emergency, contact Exhibitor Service Office, or a security employee immediately.